OXFORD, Miss. 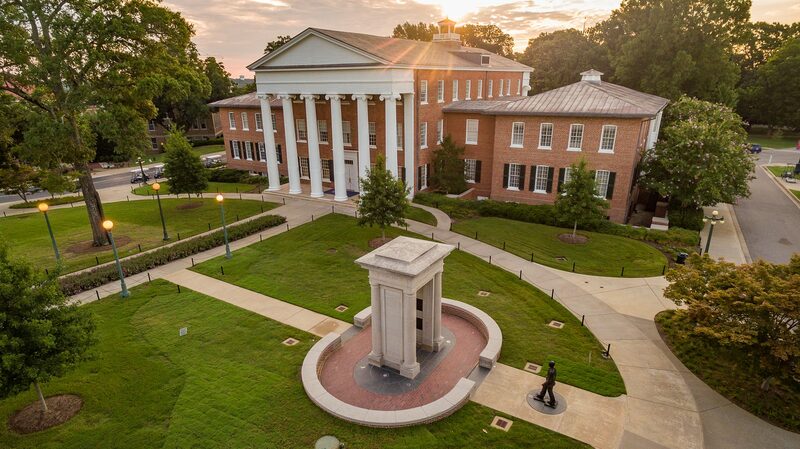 – For the 10th consecutive year, the University of Mississippi was named to the “Great Colleges to Work For” list compiled annually by The Chronicle of Higher Education. The Chronicle has published the “Great Colleges to Work For” list for the last 11 years, with UM recognized in 10 of those years. In the 2018 report, released Monday (July 16), Ole Miss was among 84 institutions honored from the 253 colleges and universities surveyed. Results are reported for small, medium and large institutions, with UM included among the large universities with 10,000 or more students. Earlier this year, the university participated in the survey, which is designed to recognize institutions that have built great workplaces. The surveys designed specifically for higher education were sent to a sample of each institution’s full-time faculty, administrators, and exempt and nonexempt staff. In the survey results, UM employees noted their job is meaningful to them and the university, and they have good relationships with their supervisors and department chairs. Employees also reported they have opportunities to develop their skills and understand the requirements for career advancement. “It is quite an accomplishment and honor to receive this recognition for a decade now,” Chancellor Jeffrey S. Vitter said. “The people of Ole Miss are at the heart of what makes our university so extraordinary. The Chronicle, based in Washington, D.C., is a major source of news and information for college and university faculty members and administrators. The annual “Great Colleges to Work For” survey is one of the largest workplace recognition programs in the country and recognizes the colleges that get top ratings from their employees on workforce practices and policies. UM employees’ broad utilization of the many professional development opportunities offered by the university is appreciated, said Andrea Jekabsons, associate director of human resources.